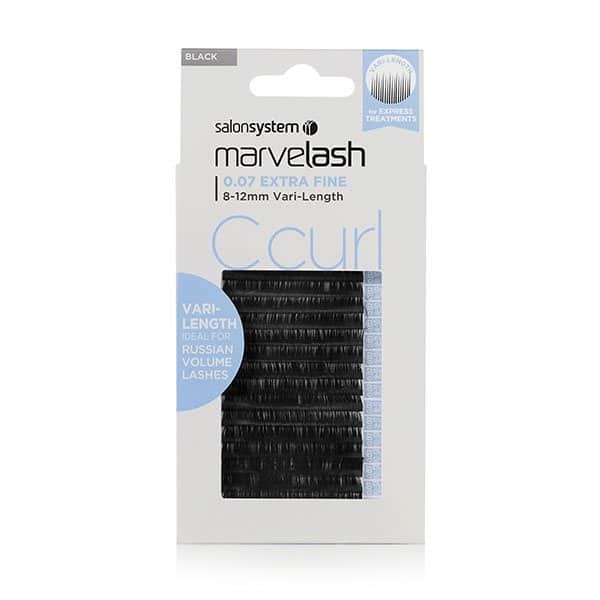 Vari-length, mink style lashes for instant and easy pick up of several lengths of lashes at once. 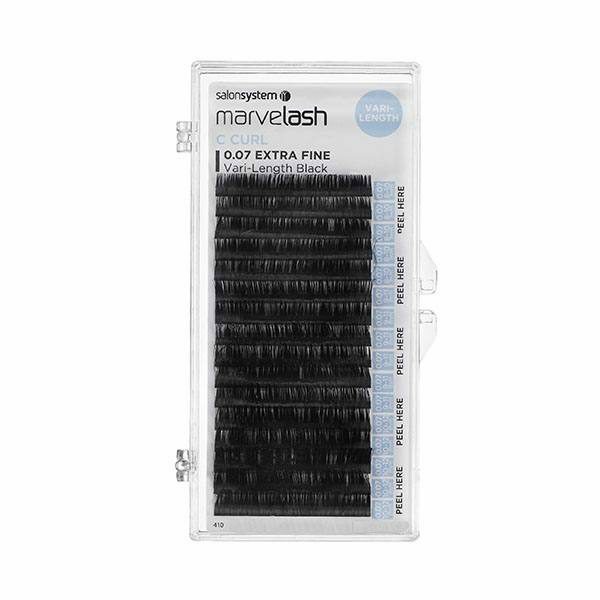 Perfect for express, multi-lash treatments, and a feathered, 'Russian Volume' appearance. Assorted lengths - 8-12mm, C curl, 0.07 volume. Black, synthetic hair.